Resources for Veterans | Office For Equal Opportunity and Civil Rights, U.Va. The University is committed to supporting and identifying resources for the military veterans we hire, those re-entering our workforce, and our students transitioning to University life. There are many resources available to veterans at the University and the list below is non-exhaustive. Please contact the Office for Equal Opportunity and Civil Rights at 434-924-3200 or visit us in Washington Hall (Hotel B) if you need specific assistance. Thank you for your service. 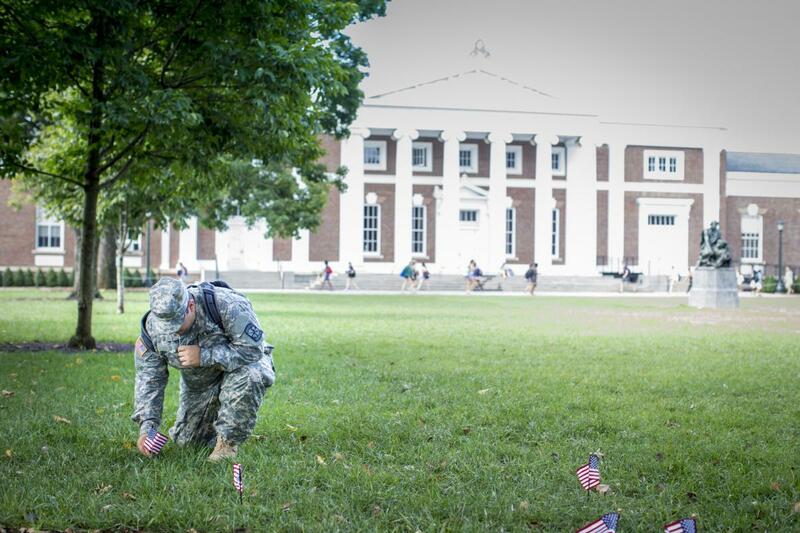 Note: Academic employees may update their veteran status using Employee Self-Service. Medical Center employees should return their completed forms to the Medical Center HR Service Center. FEAP provides counseling services and assistance to employees and their families. They also provide programs around work/life balance and seminars on the basics of managing your finances. The Benefits division of Human Resources can provide you with a great deal of information around your employment benefits with the University. They are also a resource for managing your military leave. Contact the HR Service Center at 434-982-0123 and ask for the Leave Supervisor. Career services are available through Human Resources. The services include career counseling, assessments, resume writing, and many other opportunities that will prepare you for resuming and expanding your career with the University. DVS is located in Richmond, VA. The Department offers services related to veteran benefits, education, care centers, cemeteries, and the Virginia Wounded Warrior Program. DVS also provides an online job board for posting available positions. This resource is available through Veterans Affairs. It is specifically geared toward veteran employment and includes resources on translating military skills into civilian occupations. This site is directed towards programs and information specific to injured veterans. Consider joining the University's military veteran networking group and learn about upcoming events and ways to get involved in the veteran community on Grounds. This toolkit is a comprehensive resource on strategies for hiring veterans and maximizing the benefits of their employment. This interactive e-learning module is designed to educateindividuals about support veterans in the transition to a civilian workplace. This site provides resources for employers including fact sheets, frequently asked questions, and reference guides for accommodating employees through the Job Accommodation Network (JAN). This site allows for employers/managers to translate military occupations into a civilian job framework. This short article, available through FEAP, provides information for family members, friends, and co-workers on how to provide support for anyone dealing with a critical incident. This site provides contact information for the University registrar and the documents needed for accessing your education benefits. This site connects you to all of the programs available for UVA students. This site provides military veterans with resources, support, and advocacy needed to succeed in higher education and following graduation. This site is the home for all educational benefits provided by the department of Veterans Affairs.